The color Kindle edition of Technology Review is now available on the Kindle Reading App for your Android device. Download issues at no extra cost from Archived Items. 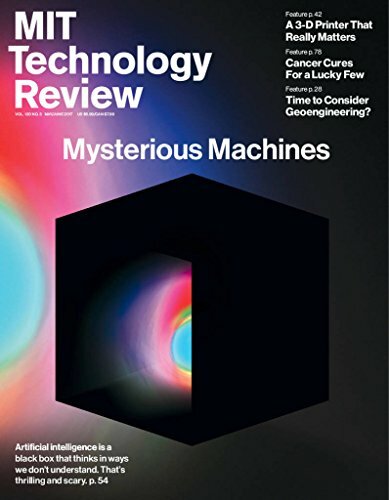 Published by MIT since 1899, Technology Review is the authority on the future of technology. The award-wining editorial team crafts investigative, in-depth stories that focus on the latest innovations in IT, biotech, nanotech, and energy that are about to hit the marketplace. From the “zero-emissions city” in Abu Dhabi to the early-warning earthquake system in China and to the next-generation applications for social networking, each Technology Review issue identifies and analyzes the most important emerging technologies from around the globe. There is only one publication that provides indispensable knowledge about where technology will take us and how it affects the world around us. Simply put, it’s about staying ahead of the curve by knowing what lies immediately beyond it. The Kindle Edition of Technology Review contains most articles found in the print edition, but it will not include all images. For your convenience, issues are auto-delivered wirelessly to your Kindle every other month at the same time the print edition hits the newsstand.